As a person raised in the southern United States, it’s hard for me to imagine a time when fried chicken didn’t exist. It’s the perfect celebration food, a perfect picnic food (it travels well at room temperature) and has been on my table on Sundays for most of my life. In fact, a Roman cookbook written in the 4th century contains a recipe for deep-fried chicken called Pullum Frontonianum. This dish, attributed to Apicius, a famous lover of good food, was probably an exotic treat for the well-to-do, rather than a weekly staple. 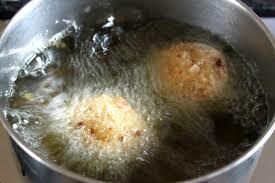 But most people agree that the first Europeans to really popularize deep fried chicken were the Scots. 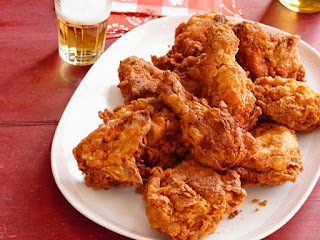 They may or may not have been using the extra calories to fend off the notorious cold and wet weather of their homeland, but they also proved that they possessed something necessary for fried chicken – a reliable source of fat. After all, this was an era when you couldn’t just go down to the store and buy a can of Crisco. Animal fat was the order of the day, and you had to be the owner of healthy, well fed livestock to have enough fat available for deep-frying. What created the fried chicken that we know today was contact between Europeans traders and African cooks. Because while the Scots deep fried their chickens, they did not use breading or spices. Africans, who had access to a wide variety of spices, cooked their chickens in palm oil, but they used breading and a spice mix to add interest. A typical West African spice mix might include paprika, various chilies, black pepper, and mint. When Africans were taken as slaves, they were often given the undesirable job of cooking, and it didn’t take them long to improve on the Scottish method of deep-frying chickens in animal derived fat. 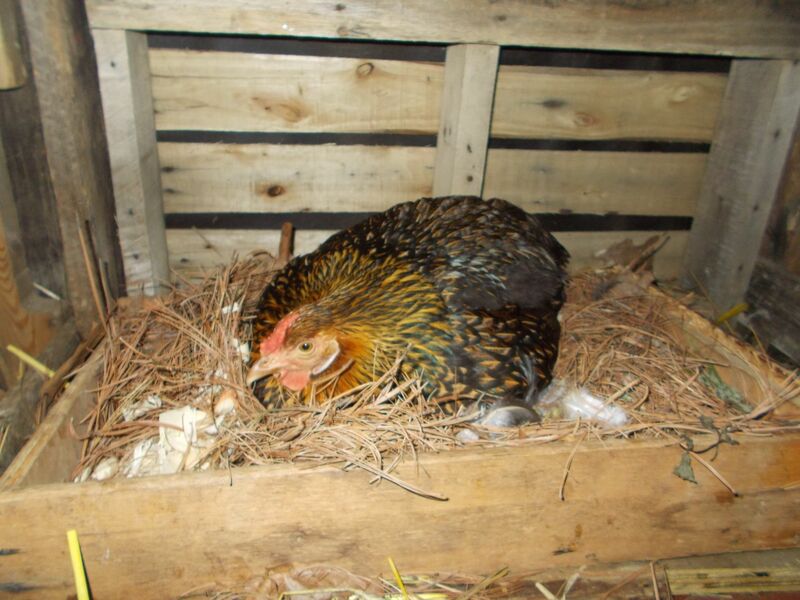 In addition, slaves were sometimes allowed to keep their own chickens as livestock. This led to the pejorative association of fried chicken with African-American culture. That’s too bad, because fried chicken is a gift we all appreciate. A perfectly fried piece of chicken, with its crisp, well-seasoned skin, tender and juicy meat, and comfort-food feel is about as good as it gets. We all enjoy it, so let’s give credit where it’s due. But what has this to do with pirates? Well, like those early slave-owners, pirates had what it took to make good fried chicken. Ships were known to have an excess of food-grade fat available. 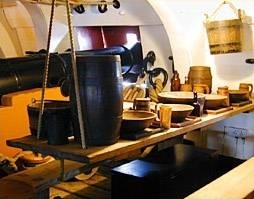 When boiling the traditional meal of salted beef or pork, fat rose to the surface of the pot and was skimmed off by the ship’s cook. The material, called “slush” was considered the property of the cook, who often sold it when the ship was in port. The money made from this was called the “slush fund,” a term still in use today. On a pirate ship, where the cook made a share of the profits, he could be assumed to be a lot more generous with his slush, so cooking in hot oil became a possibility. Pirates were also known to party on deserted beaches, where having a large pot of boiling oil would be safer than on the deck of a moving ship. Also present were chickens. Merchant captains often kept a dozen or more birds alive on ship. The chickens provided eggs and fresh meat for the captain, and could be fed off crumbs of ship’s biscuit and the weevils that accumulated in the bread. Pirate who captured a ship rich in chickens were likely to turn the creatures into meat. Part of this could be attributed to the “live for today” philosophy of the brigands, and part of it was the more pragmatic fact that any eggs laid would be too few for everyone to have a share. Pirate ships often carried a high percentage of African crew members, whether as escaped slaves or simply as sailors whose ancestors came from Africa. And pirate cooks had access to a wide variety of expensive spices. After all, spices from the Caribbean were shipped all over the world, and captured spices didn’t have to be paid for. A wide variety of sources confirm that pirates enjoyed spicy food and unusual taste combinations. So a pirate crew would be open to trying a Scottish dish with West African flair. 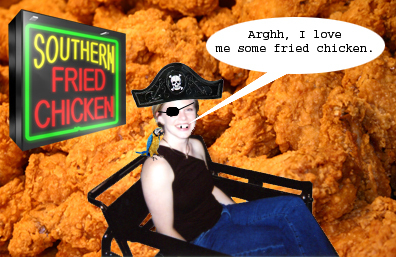 Fried chicken on a pirate ship. Who would have thought? ** I was inspired to write this blog while doing research for my series of novels - The Pirate Empire. Many folks have said that they learn as much from my fiction work as they have from other writer's non-fiction. 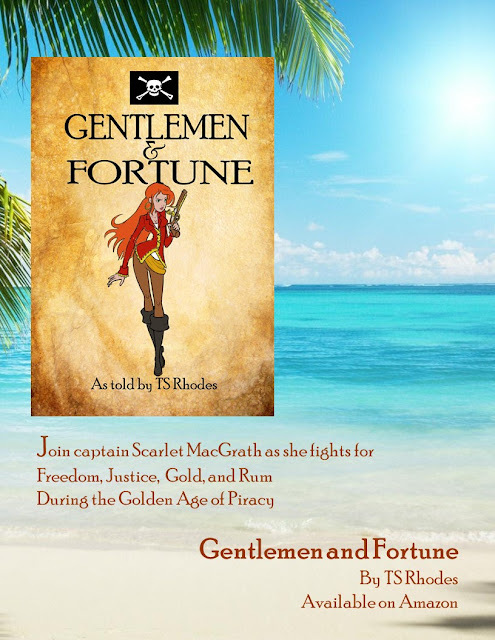 Want to have even more fun while learning about Golden Age pirates? Pick up a copy of Gentlemen and Fortune. Available on Amazon now!